Powerful as a small agricultural tractor . . . safe and maneuverable as a lawn and garden tractor . 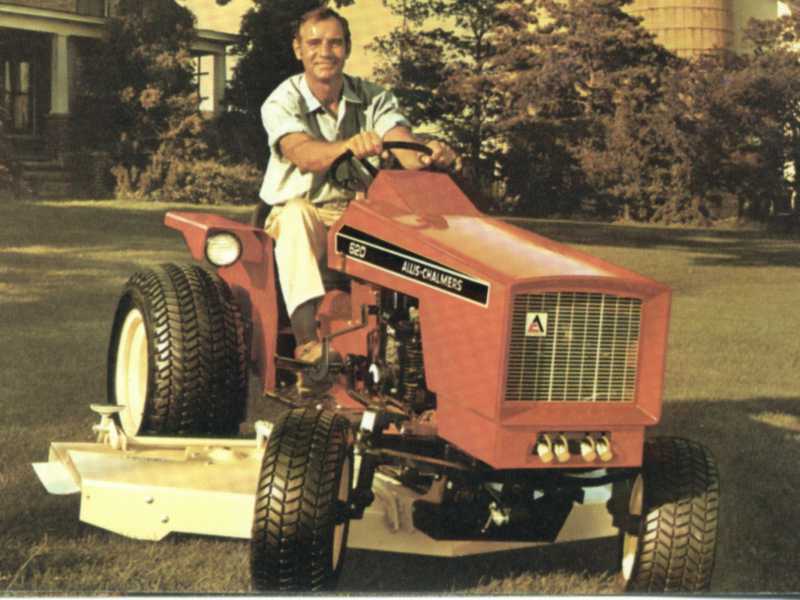 . . the new 620 from Allis-Chalmers features a big 19½ hp engine coupled to Hydrostatic Drive with three speed ranges. Front PTO clutch with electrically controlled clutch is standard equipment along with hydraulic lift system forward and for center mounted attachments. And what attachments! Everything you'd expect plus things like a 5 foot mower and a rugged front end loader.